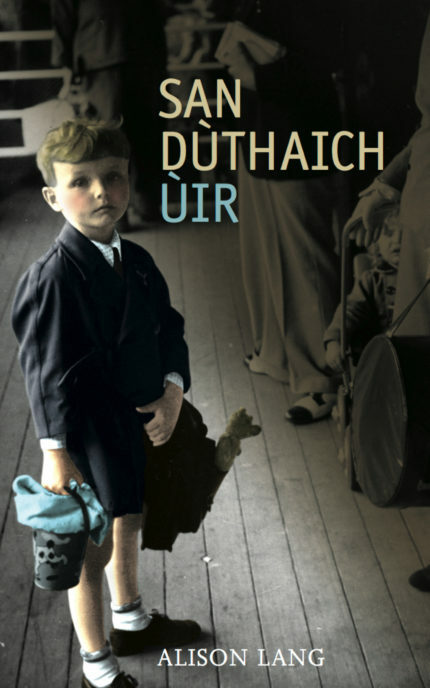 San Dùthaich Ùir (In the New Country) is story of exile and identity, published by Sandstone Press in its Meanmnach series of easy-to-read novellas for Gaelic learners. Anna has no memory of the old country from which her parents fled when she was just a baby. As she grows up in the new country, her father struggles to assimilate and her mother and aunt find different ways of coping. There are so many questions Anna wants to know, so many things her parents won’t tell her, but it’s never the right time to ask.